Here is a track from an album made in New York in 1958. The record is a piece of anti-Soviet propaganda called, as you see, ‘Dreams of Golden Prague’ and its sleevenotes bemoan the influence of communism on Bohemia and suggest that the terror imposed there is merely a preliminary to a take over of the ‘Free World’. The rant on the back cover occupies the space where one would normally expect to find performer credits so I don’t know who is playing. 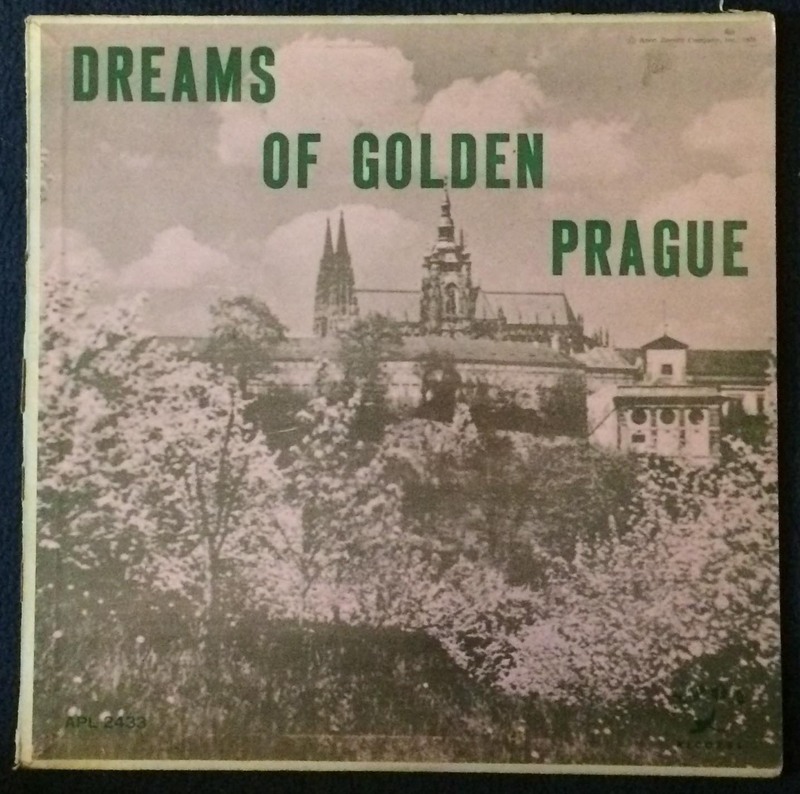 The front cover meanwhile shows Golden Prague through a rose-tinted glass. I took the liberty of ‘improving’ this track which I believe is called ‘Vērím-tango’. (Those accents are wrong). I’m interested in how a simple shift of the sound can change the nature of a song….in this case adding echo has, I think, brought a much needed sense of melancholy to bear on the tune and its delivery.